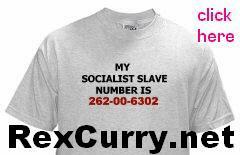 Http://rexcurry.net is the first (or one of the first) to use some of the phrases below to end social security numbers (socialist slave numbers) on the internet, according to internet searches. 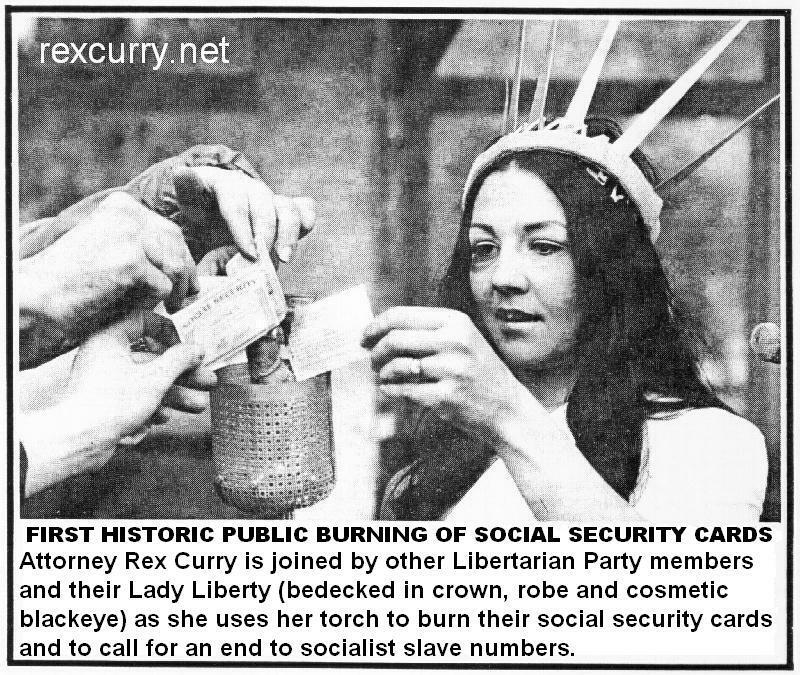 Rex is the first person to publicly burn his own social security card in a group protest in public to end the scam and its socialist slave numbers and the photo is at http://rexcurry.net/SSNburning6.jpg The famous photo of the public card burning event was posted first by rexcurry.net and still points only to rexcurry.net in internet searches. Are the search results more evidence that libertarian traits of individualism and defiance of government are near zero, compared with socialist traits of regimentation and submission to government (e.g. numbering people from birth and tracking their movements, income and employment for life, while stealing from them)? To learn more about how to fight the sick socialist slave number visit: http://rexcurry.net/SSNall.html The numbers to the right give the web results first, group results second. Most of the results are off topic (the phrases are usually not used to refer to ending the social security scam).